Simple Adblock is an Ad Blocker for the Windows Internet Explorer Browser.Â Created by Simple Adblock, this adblocking browser extension for internet explorer works much like the AdBlock Plus addon does for Firefox. IE Adblocker might be used to block flash ads, banner ads, rich media, fly-ins and much more. Notice the new Simple Adblock Icon in Internet Explorer. This can be used to enable/disable and further manage the program. That’s all there is to it. 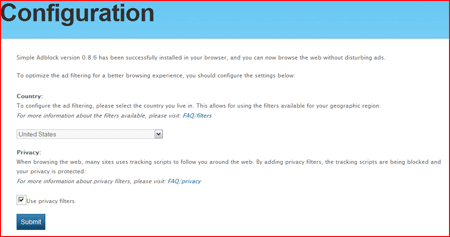 Now you can enjoy Ad Free browsing from your Internet Explorer Browser.